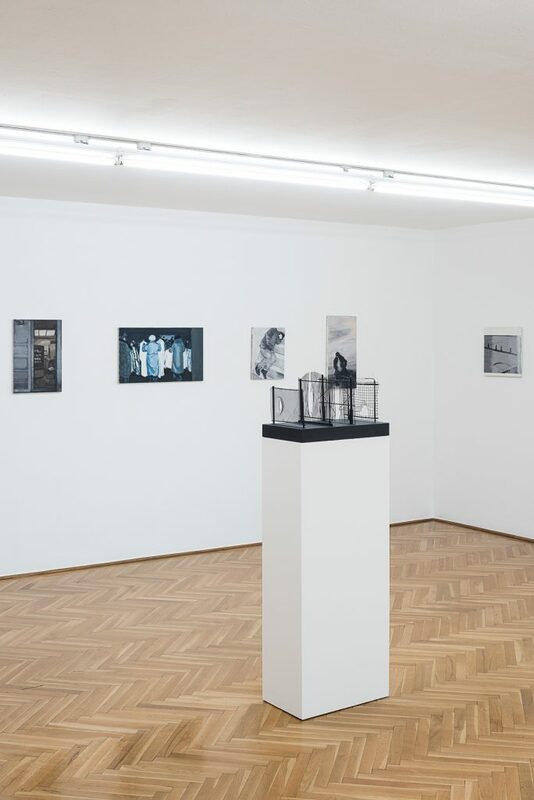 For her exhibition Chandeliers in the Forest, Chernysheva has selected recent and older works from multiple series and in a variety of media that bring contemplative moments into focus in which inward states of mind manifest themselves in outward phenomena. Chernysheva’s psychological approach is informed by both nineteenth-century Russian realism and Soviet avant-garde film. One important source of inspiration for the artist, who was trained as an animation filmmaker, are the movies of Sergei Eisenstein, Dziga Vertov, and Alexander Dovzhenko, who became famous for their innovative editing techniques and expressionist cinematic idiom. The drama and ideological slant of their works are alien to Chernysheva’s art, but the psychological expressiveness of the individual frame and the embrace of gestures and facial play as narrative devices suggest the influence of 1920s and 1930s cinema. Dovzhenko’s silent films, in particular, rely on close-ups and long uninterrupted takes to convey the dramatic tension of his scenes and the emotions involved through facial expressions or even landscape details. 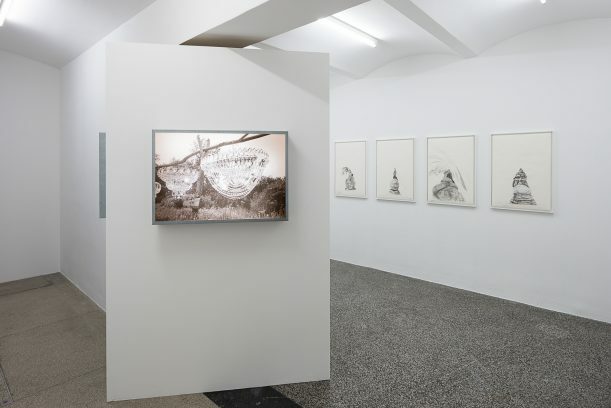 Queuing (2017), a series of charcoal drawings Chernysheva created specifically for the staircase leading up to the upstairs exhibition room, shows the legs of idling Viennese carriage horses. 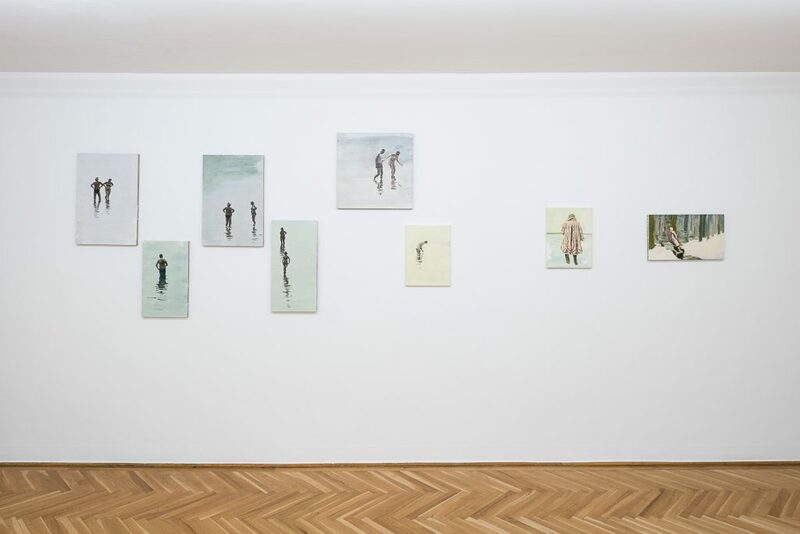 The artist noticed the peculiar pent-up tension in the animals, which results from their having to wait, sometimes for hours, for a fare and becomes apparent in the shapes of their legs: an inward state reflected in a bodily posture. 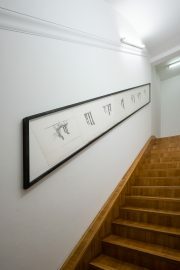 The sense of physical discomfort is heightened by the presentation of the drawings in a single frame measuring more than 13 feet that is mounted parallel to the stairs. When the work will be displayed in more conventional settings in the future, the rhomboid shape will be a reminiscence of the original site of exhibition; the Secession is permanently inscribed on the frame’s “body memory.” Moscow River (2017), a series of oil paintings in small formats, likewise illustrates how patterns of motion change: the water has receded dramatically, and where people used to swim in the summer they now wade through the stony riverbed, struggling to maintain their balance. With the new video Chekhov Museum (2017) and the 18-channel video installation Screens (2010–2017), the focus of the exhibition in the basement-level galleries is on works on film and motifs set underground. Like the Russian writer Anton Chekhov, Chernysheva portrays ordinary actions with a keen eye for the political and social conditions that underpin them. The video lets us observe the artist as she films documents and photographs and listens to a museum staffer’s impassioned recounting of anecdotes from the famous writer and doctor’s life and work. The true roles are not revealed until later in the video: the putative art educator turns out to be a guard who quietly returns to her place when the official guide enters the rooms. 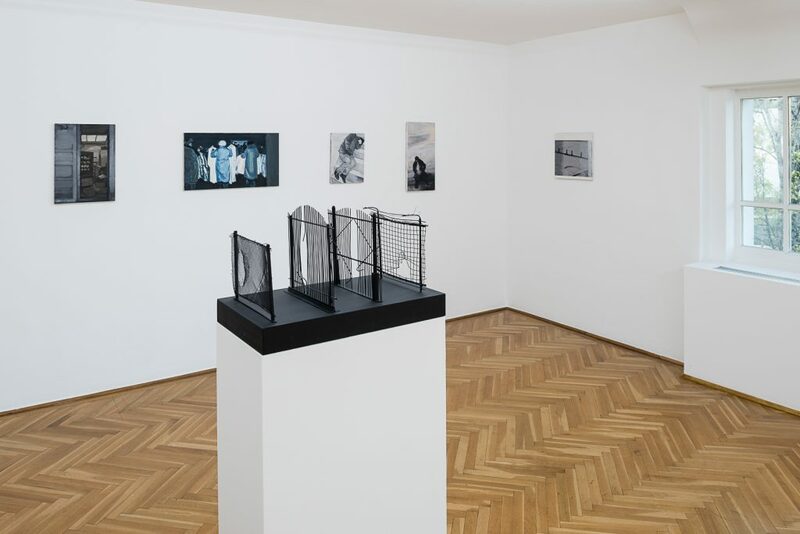 Chekhov Museum harks back to earlier works on museum attendants (e.g., Guards, 2009) in which the artist probed the peculiar state of latent alertness between dawdling and sudden action. A different situation in life comes into focus in drawings of people lined up on the seemingly endless escalators of the Moscow subway. Punning titles such as Escalator or Escalation pasted onto the works operate like speech bubbles in comic strips or the occasional intertitles in silent movies. 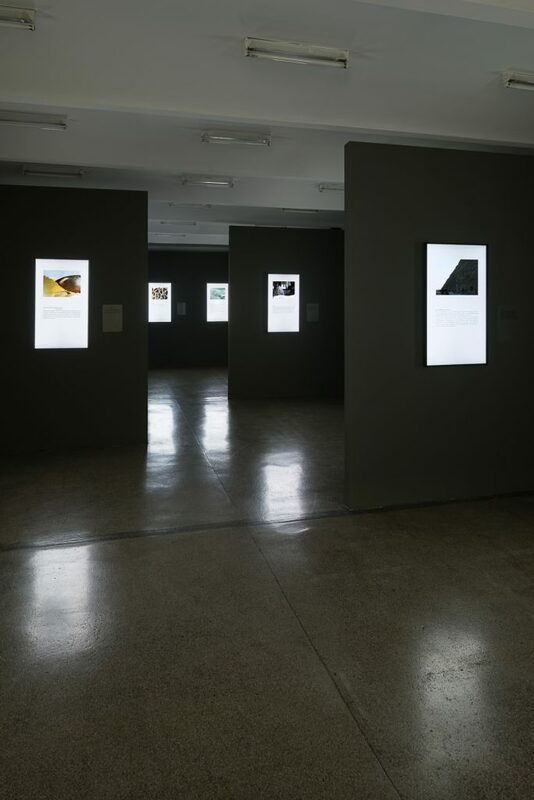 The exhibition title Chandeliers in the Forest is borrowed from a series of light boxes that exemplify Chernysheva’s creative approach. The photos reflect on the inventiveness and creativity of people struggling to make a living; in this case, a worker was given the product of his labor—glass chandeliers—instead of a salary and now tries to sell them along tourist roads, hanging them in trees as if they were on display in a shop window. In this equally pragmatic and poetic stratagem, the artist uncovers beauty. Screens, a multichannel video installation that combines short filmic sequences with the artist’s writings in a collage, constitutes a sort of diary, mixing philosophical reflections with notes on the incidents of daily life. 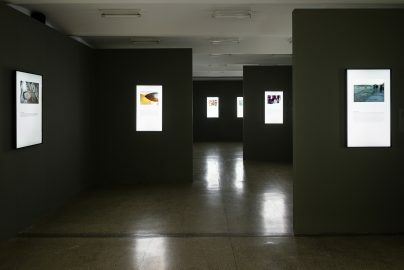 For the Secession, the artist has selected 18 videos created since 1999, with a soundtrack featuring a piece by Shostakovich as interpreted by Keith Jarrett. Olga Chernysheva, born in 1962 in Moscow, lives and works in Moscow.